SecureLink is a web-based solution designed from the ground up to help technology vendors provide better, more secure remote support. This document is intended to serve as an introduction to SecureLink and provide a quick overview on how to remotely support customers using SecureLink. SecureLink is a software company based in Austin, TX, that provides remote support networks to connect technology vendors to their customers. Customers in secure environments, i.e., Healthcare, Legal, Financial, etc. purchase SecureLink Enterprise to allow them to provide a single method of remote access to their vendors that is powerful, easy to use, and allows them to meet increasingly stringent controls on audit, compliance, and security. Our role is to work with vendors to ensure they can use SecureLink Enterprise and continue to provide support in a way that meets or exceeds their current method of providing remote access. Enables collaborative support via desktop sharing access to servers & workstations of almost any operating system. Provides powerful access to any TCP-based service, like RDP, SQL, HTTP, or even complex diagnostic clients. Requires no software install on the part of the technician and no key fobs, tokens, or VPN clients to manage. Allows enterprises to tie actions to individuals by enforcing individual credentials for software vendors in a way that is easy for vendors to manage. Audits all access through the system, such as company name, case number, reason for connecting, ports accessed, when a host was connected to, and much more. Provides a video recording of all desktop sharing and RDP activity. Allows for a single method of remote access, greatly reducing infrastructure and increasing efficiency. While SecureLink Enterprise is designed for customers to manage their vendor access, we also offer SecureLink for vendors to access all of their customers. If you're struggling with managing VPN's or desire more powerful access than desktop sharing can provide, we may be able to help. When your account is set up, you should receive an email with a link to login and a temporary password. Your user id is your email, and you will enter the temporary password received in the email. You will then be prompted to create your own password. If you forget your password, there is a link to have it reset. 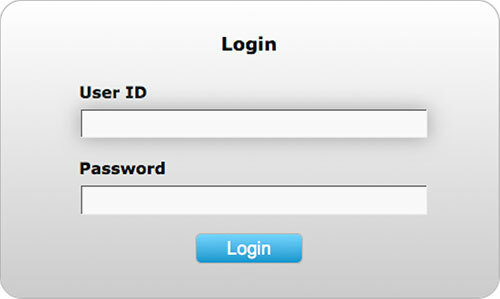 The next time you login, simply open a browser and navigate to the login URL you received in the original e-mail. You will be prompted to enter an authorization key. This key is dynamically generated and will be emailed to your corporate email to provide a second layer of authentication. After successfully logging in, you will see a list of the applications you have access to (usually one). An application is a group of the hosts and ports you need to support the customer. To connect, simply click on the Connect icon on the right. Note: Versions prior to 5.2.4 may require use of your browser's Java plug-in. You will be presented with an option to download the SecureLink Connection Manager (SCM). The SCM allows you to connect to SecureLink without engaging your browser's Java plug-in. Windows users may be presented with two connection options as seen below. Mac and Linux users will only see a single link here to connect using their Java plug-in. If a user is on a version prior to 5.2 or has any difficulties with downloading the SCM, they can choose the secondary, legacy connection method which uses their local Java browser plug-in. Click on "the SecureLink Connection Manager applet" option to proceed. Click the "Connect using the SecureLink Connection Manager" link and proceed with downloading the SCM client. The SCM client and its components will then download along with its built-in Java packages. If a user has problems with downloading the SCM packages, it is possible the user was prompted and/or prevented by Windows User Access Control (UAC), Windows Firewall, or their local anti-virus/security software to allow/enable the SCM executable to be downloaded and run. The name of the SCM file is SecureLinkCM.exe and it must be allowed to download and run on the local system. If the user fails to allow the SCM to run following the prompts or if the anti-virus or firewall settings block the SCM download, the user will need to adjust his system settings to allow it. Until the settings are adjusted, the short-term workaround is to reconnect to the application and choose the secondary option presented (the SecureLink Connection Manager Applet) which will revert to using their local browser's Java plug-in to complete the connection. The permanent fix is for the user to adjust their UAC, Windows Firewall, or anti-virus configuration settings and set an "Ok/Allow/Enable" exception rule for the SCM. Users who prefer the old connection method using the local Java plug-in may continue to do so by choosing the secondary connection method option as desired. Once logged in, you are ready to connect to Applications. Navigate to an Application and click "Connect". You will see the familiar pop-up, but once the connection is established, the pop-up will disappear. After you click Connect, you may be prompted for some information to provide additional context as to why you are connecting to the customer's network. Please be aware that this information will be emailed to the customer and attached to your user id. SecureLink has many common tools built into the browser. If you click on Remote Desktop, SSH, Telnet, and more, we will launch the appropriate client to get you connected. Simply find the hostname or IP address you are trying to support and click on the tool you need to use.